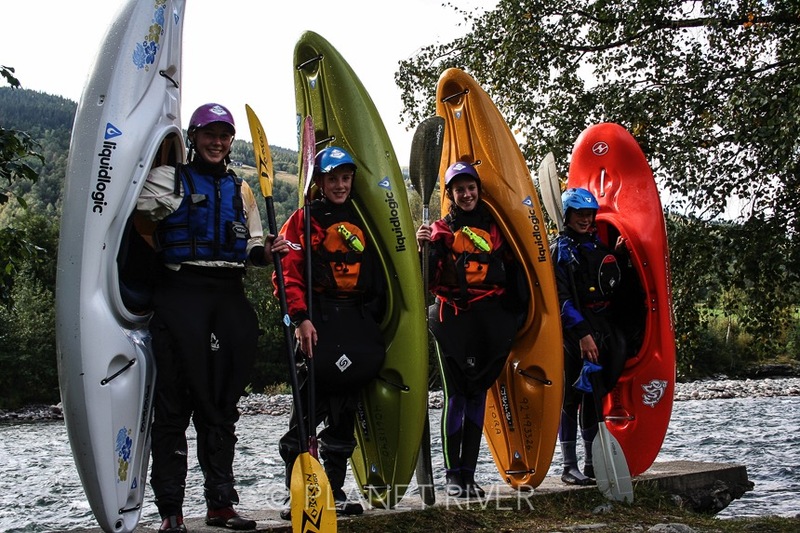 * Our focus is a safe journey, experiencing the white-water and nature whilst kayaking the Sjoa River. * We guide you, showing you the surf waves, the optional lines, and helping to keep you away from tricky waters and unseen dangers. * We assist with scouting & portaging. T-rescues, hand-of-gods, and cleaning up in the event of swims or mishaps if needed. * We should also have the time too show & describe the natural sides to the river like its rock features, side creeks and waterfalls, lotic and riverine inhabitants and share some of the stories and legends that have played out within its valley sides over the years. * Play the abundant surf waves, slalom-style the friendly eddies, get soaked in the wave trains, and get social with the rafters, river-boarders and the variety of foreign & local river travellers. * In a 5 hour session there is often enough time for 2 runs, getting to the know the route on the first run, the second to explore more challenging lines and catch those on-the-fly surf waves. * Let us know if you want to either playboat or run the river, or both. 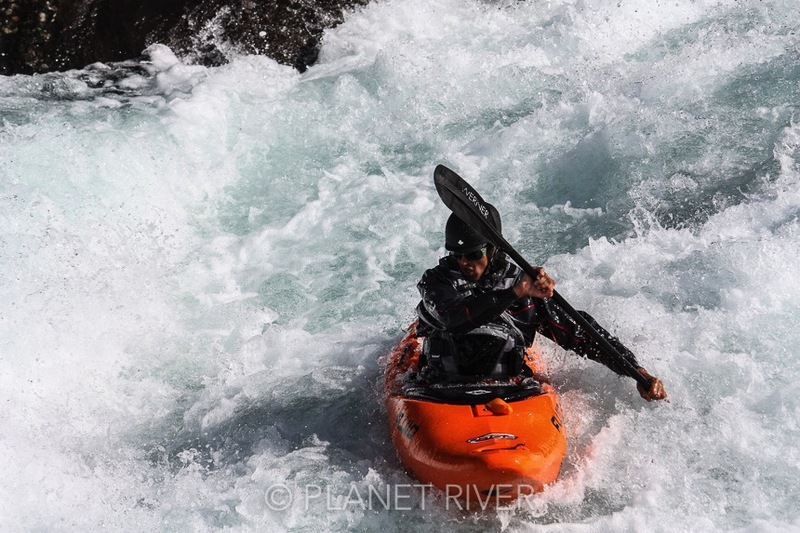 * The Upper - Starting in the village of Heidal, this route starts off mildly, down wide longer bed load rapids with few obstacles, sweeping bends and small wave trains. 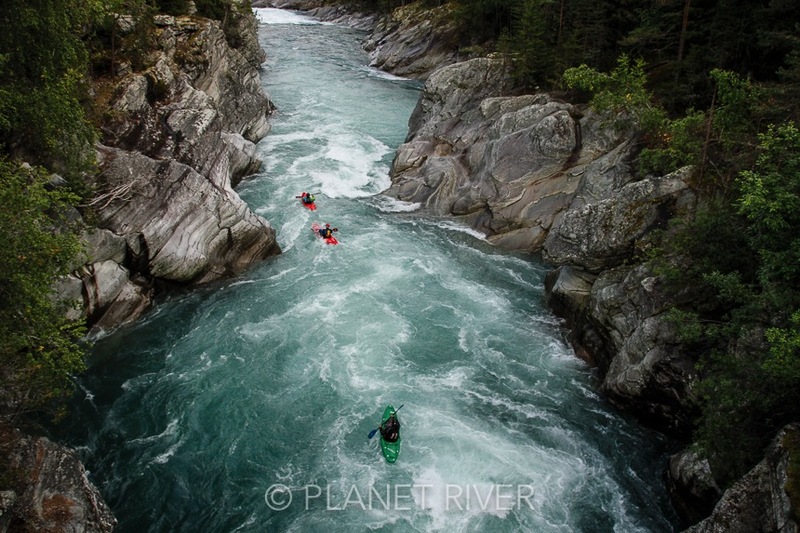 * The Middle - The 6.5km playrun is possibly Norways most paddled whitewater. At Harlaug bridge the river slowly narrows and builds its way quickly into the main playrun section as the gradient steepens into the bedrock of Chocolate Canyon. 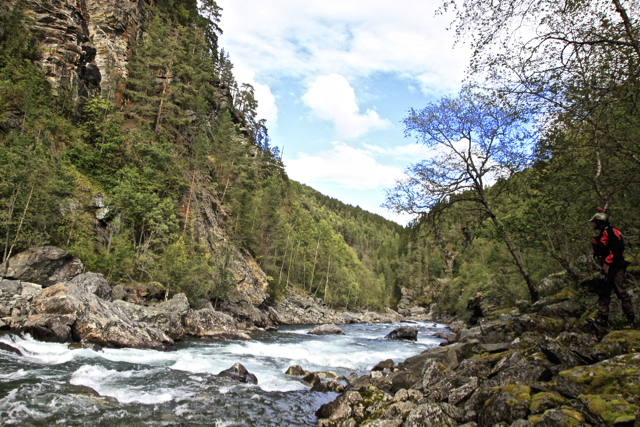 * The Lower - Departing the canyon we skirt past China Hole at Faukstad Rapid, and the river widens again into wide open vistas with several fun rapids around forested islands before finishing with a bang at the Washing Machine Rapid. * A 12km continuous committing paddle over a combination of bedrock and bed-load geography within a steep walled & forested canyon. * The run builds up in intensity after a mildish 3km warm up. * Constant navigation of your boat around holes & large exposed rocks, riding diagonals off walls keeps you alert and sharp. * The Gut is long and technical, and the crux rapid and well worth a scout. * Remnants of glacier retreat, the distinctive vertical walls and sharp bends and cascading waterfalls give the feeling of being isolated, exposed and out in the wilderness. * Low to medium flow dependant. * The last 4km of the Sjoa River before it confluences with the Gudbrandsdalslågen never fails to whet the whitewater appetite regardless of water levels. * Must make moves through a water-polished bedrock and forested mini-gorge. * A pool-drop session in low water is quite unlike in nature and force to the unforgiving and stonking torrent in high water. * The first run is often a blur of adrenaline for 1st timers. An optimal 2 runs in a 5 hour session is possible to nail those lines and appreciate the classic route it is. * This 2 hour session will familiarise you with the Sjoa valleys most popular route. * This option is for those foreign & travelling paddlers who are independant, will be around the Sjoa valley for a while and want to get right into knowing the conditions and style of flow they will be spending more time on. We will give advice on put-in/take-out options, water level info, accommodation & camping, & happenings. * Playboaters and riverrunners welcome. * Meet and greet at the agreed put-in/take-out, geared up and ready to go kayaking. * Plan briefing for WW Guided trip. Sign waiver/indemnity. * Safety brief - signals, scenarios & river etiquette at put-in. * On water, with a brief warm up session. * Flow with the river, stopping occasionally for either scouting, leg stretches, surfs, snacks or a hot cup of coffee. * Finish up with a laugh and high 5`s, load boats & gear and complete the shuttle. * Åsengjuvet & Åmot Fallene may require a prior session together on an easier section of Sjoa to determine your skills. These routes will include must make eddies, scouting and/or portaging. * We are happy to discuss combinations of the above routes for a multi-day/overnight adventure or view the overnight options on our Multi-Day Descents page. * The gradings listed for offered routes, are based on low water flows.